Swimming World Magazine has been recognizing the Top 12 World Masters Swimmers of the Year for the last 14 years. 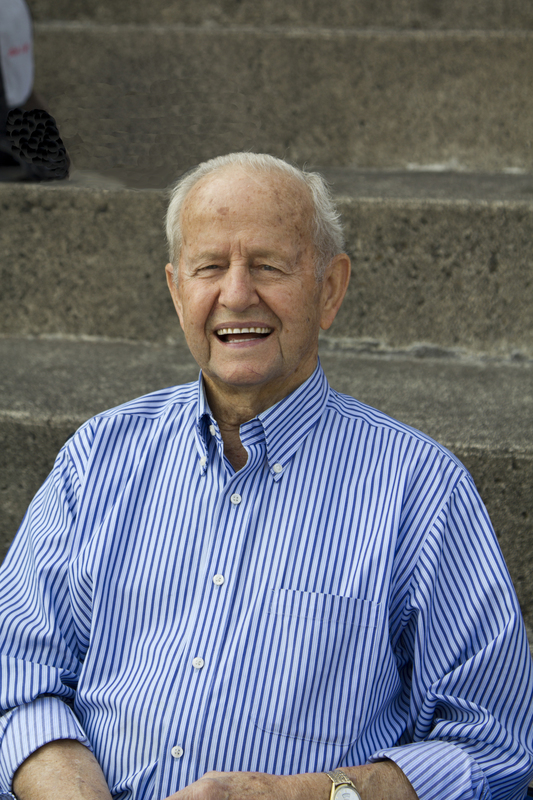 For their 2017 list, Willard Lamb was one of the 12 swimmers chosen. Soon after joining OMS and entering swim meets, Wink started setting National and World records in his age group. To fully appreciate Wink’s journey back to the pool and competition, we need to look back about 75 years to when Wink and Wally were in high school together. Wink met Wally at R.A. Long High School in Longview where Wally was a senior when Wink was a freshman. When asked about a favorite swim memory, Wink says “I blame Wally for this one!” In Wink’s last year of high school, he won the 220 yard free at the state championship in record time (2:23.4*). To his surprise Wally was there at the end of the race pulling him from the pool – knowing that in a few minutes he had a 100 free to swim. “He gave me a good rub down to make me feel the best possible for the next race and I got 3rd place. I didn’t even know that he was at the meet, because he was in his 4th year at the University of Washington at the time.” Wink added that Masters swimming has provided many more favorite memories, relays especially, but another notable memory was when Bert Peterson paced him in an 800 LCM Free, where he broke his old World Record by 45.93 seconds at the Tualatin-Hills pool in April, 2008. 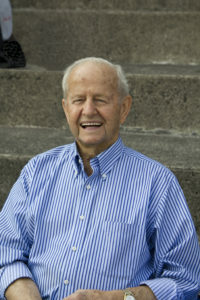 After high school, Wink followed Wally to the University of Washington, but after the bombing of Pearl Harbor he returned home to Longview to build wood dry docks for the government (60 hours per week for $1.20/hour), and then in the beginning of 1943 he was drafted into the Army and was part of the first Airborne Division formed. He eventually was chosen for the exclusive 511th Parachute Infantry Regiment. He made all 15 jumps his company made, one into combat 60 miles south of Manila in the Philippines. In 1946 he came back from the war and married his high school sweetheart, Jean. Wink and Jean were married for 63 years until her death in March, 2009. “I feel the exercise has been a real benefit to my health. I dropped 20 lbs, which was a surprise!” says Wink. Reuniting with Wally after all these years was also a bonus. “Wally was four years ahead of me and my first coach in 1937,” explains Wink. “He was my star – a great swimmer at R.A. Long High school and four years at University of Washington too! Masters swimming has been an unbelievable experience and such an accident for me. Plus, I’ve had somewhat respectable times for my age group,” he adds. Willard swims five days per week at his local health club. His workout used to consist of only freestyle and backstroke, but he recently made some changes. All of these World Records are also USMS National Records. Wink set these World Records at 2017 swim meets in Oregon City (SCM), Minneapolis (LCM), Mount Hood Community College (LCM), Hood River (SCM), Federal Way (SCM), and Bend (SCM). *Wink set a Washington state record in the 220 yard freestyle, so that’s one record he knows will never be broken, because after World War II the championship courses changed from 220 yard races to 200 yard races. A few of the Masters World records he has set recently might also stand the test of time. Thanks, Dave for this great article. I’m “only” 74 and I’m still trying to beat “Wink”.